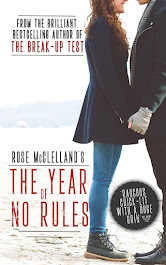 Rose McClelland - Author : The day I signed my publishing agreement! The day I signed my publishing agreement! It was a day like any other; a Monday in-fact. Monday 13th February. I had gone out for dinner the night before with a bunch of Greeks and Brazilians. I was settling into my usual weekly work routine. I was keeping an eye on my email, I will be honest. 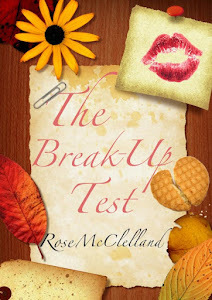 I had sent the full manuscript of my novel “The Break-Up Test” to a publisher. Yes, they’d liked my synopsis and first three chapters, and they’d asked to see the full thing, so I was hopeful. Hopeful - yes; expectant – no. My boss was chatting to me when I opened my email. I saw the words ‘contract offer’ in the subject header and I had to look away. I was too scared to read it in-case I was imagining things. When my boss stopped talking, I opened the email. 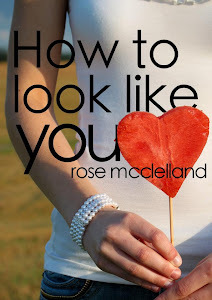 I saw the words ‘…found it well-written.. humorous… imaginative…’ There is a very fast hold-breath moment when you see words dancing across the page like that. And then I saw ‘… I would like to congratulate you by offering a contract for its publication’. ‘No way!’ he said. (Okay then, he might have said something a lot stronger than that). Then followed a phone-call to my sister; tears; texts to my mum, brother and a couple of others. All were sworn to secrecy until I had signed the contract, gotten over the shock and had a chance to accept that this might be real. And I knew to savour every last moment. It all sounds pretty quick, huh? It was, and yet it wasn’t. Because prior to that was six years hard slog. Getting promising letters from agents and even managing to secure an agent. Following that came feedback from publishers. Comments like ‘we love this and just want to read it for pleasure but our hands are tied; we simply have no room on our list for women’s fiction’. Banging one’s head against the wall would be the closest analogy. And then came a discussion. Camped around the dining room table with my brother Dave http://www.davidmcclelland-photography.com/ and his girlfriend Dee http://afternoondlite.com/, they talked to me about e-publishing. About how times are changing. About how the kindle is the new paperback. And I thought to myself, ‘Listen… Just listen to them and try to keep an open mind. They are trying to help and maybe, just maybe, they are right’. Whilst talking, the name ‘Crooked Cat’ http://crookedcatpublishing.com/, jumped into my head. I had dealt with them before when I had reviewed one of their books by author Trevor Belshaw http://www.trevorbelshaw.com/ for Judging Covers http://judgingcovers.co.uk/. I found their approach with me as a reviewer friendly, proactive and enthusiastic. I liked them. Also I saw that they were looking for submissions. And that’s when I decided to submit to them. I sat in Starbucks after work until 9pm for a few nights until the submission was complete. And then off it went. Pronto. Congratulations Rosie. Look forward to reading your book. Rose, this is beyond brilliant! I'm delighted for you. I just love it when someone gets a creative foot in the door. Well done and looking forward to reading your book! That is most awesomely excellent! Well done, I better have an ol nosey and see what its about...! !